Seamore’s Chelsea, NYC: The Lowdown! It’s part of the new Winter Menu 2019 at one of my favorite eateries in Gotham. If you’re a bit more adventurous, you may want to try the Sriracha Salmon Burger ($21). Of course, you can still rely on your favorites: The Reel Deal, among them. It comes with your choice of the “daily landing”, fresh local or regional fish, and three side dishes with a choice of sauce. 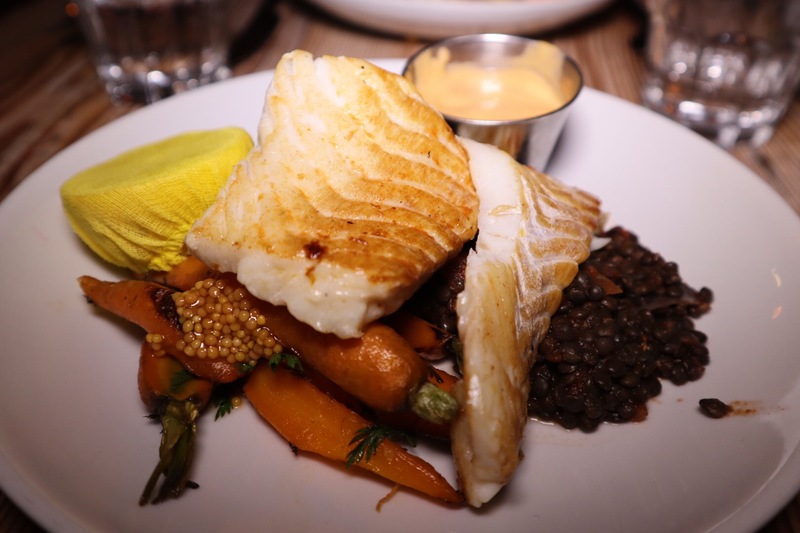 Among my favorite choice of fish for the real deal is the cod fish as seen here with lentils, broccoli and braised carrots with a side of red curry sauce (seen here). For more on what you can find at Seamore’s, check out my earlier story on this site. 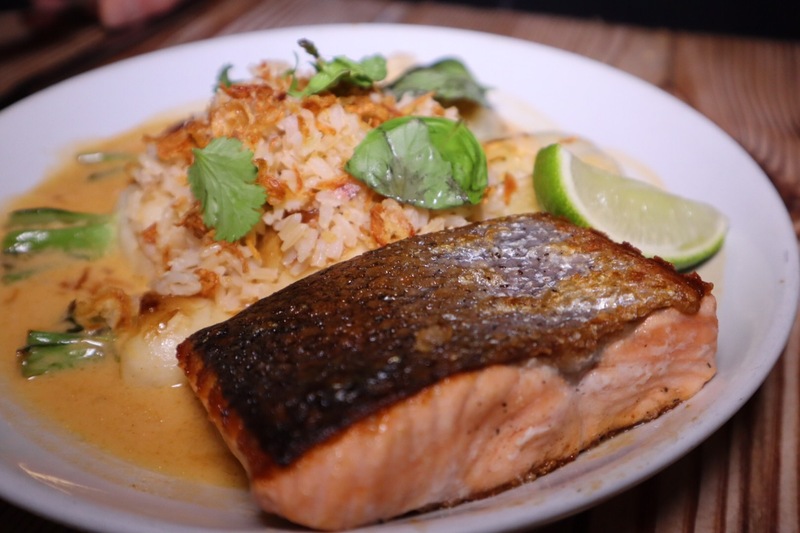 ← Jack’s Wife Freda, Chelsea, NYC: The Lowdown!